E2E Rail is an emerging leader in railway infrastructure services, focusing on designing, testing and commissioning services across signaling, track and electrification sectors in India and overseas markets. 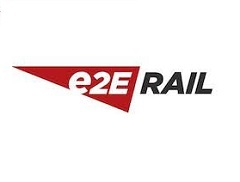 E2E Rail’s completed projects include work done for London Metro, Delhi Airport Metro Express Link; Port Hedland project in Western Australia; and London Under Ground in the UK. E2E has also worked with most of the leading global signalling OEM companies both in India and overseas markets. E2E Rail was founded by Mr. Ganapa Sreenivasa Rao, a serial entrepreneur with over 20 years in the railways sector. Ventureast invested in E2E Rail from the Ventureast Proactive Fund in March 2012, and is working closely with the company to generate strong growth by ramping up its global presence, training facilities and working capital capacity.